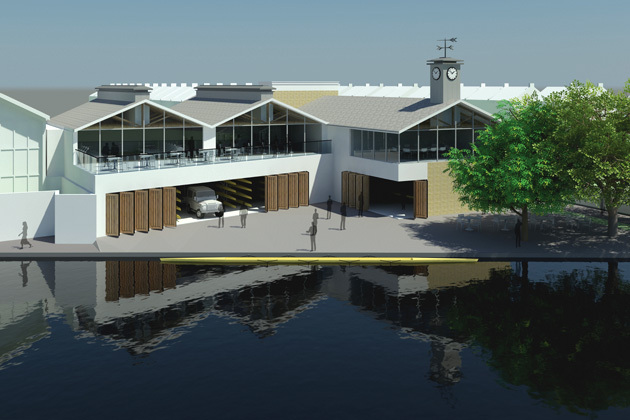 The site is located on the River Cam on the outskirts of Cambridge and is part of a line of boathouses adjacent to the river. 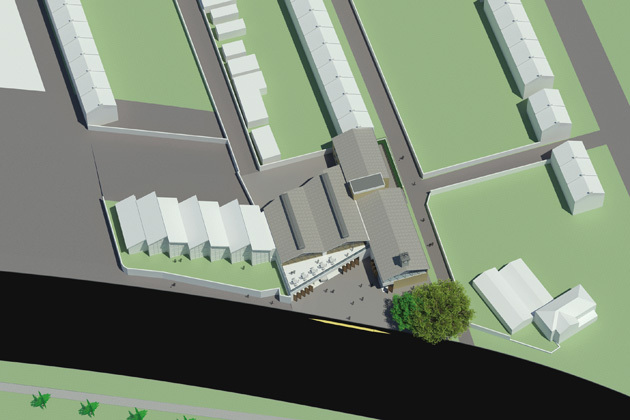 The refurbishment option had proved uneconomical and the brief confirmed that the existing buildings on the site are generally in poor condition and the facilities inadequate, and in some areas are a risk to heath and safety. 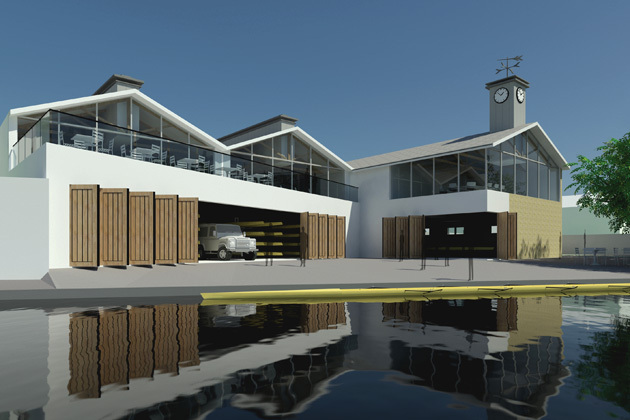 We needed to get beyond designing a boathouse that merely satisfied the brief in terms of accommodation. We picked up what motivates and inspires rowers and what they get from rowing. We then set out to create a building which would produce an environment conducive to their success. Keeping in mind the restrictions and the technical problems, we needed to consider the life, philosophy, heritage, achievements, ownership, pride and soul of Gonville & Caius. It became obvious that we had to take our thinking back to first principles and we looked at the way this boathouse will be used. We established that the way the building will feel and inspire will stem directly from how it transmits messages to users during these important times. With this in mind, we developed a solution which incorporates the following key features. 1. 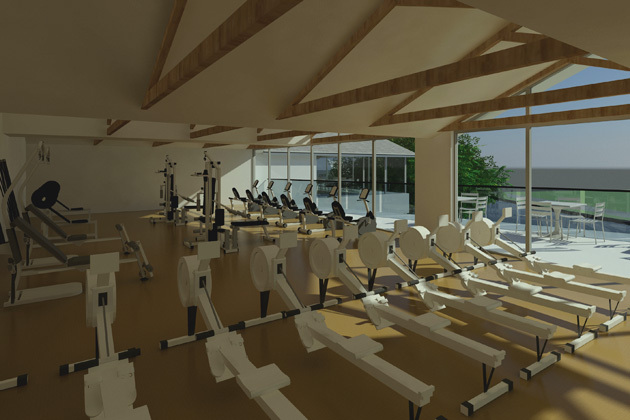 Members are taken up through the building via the central staircase accessed from a riverside ground floor entrance with a generous boathouse space. Here, there is space to interact with others, greet returning crews, wish departing crews well and read information. The quality of finish in this area will be high to give a good first impression and positive emotional response. 2. Crews leaving to compete do so via the crew room. We want the crew room to be the hub of the building. It will be in a prominent position with views over the forecourt and river and will contain the memorabilia and trophies. It will have the history and what the club stands for embedded in it but, more importantly, it will sit under the symbolism of the clock tower and weather vane in an iconic part of the boathouse frontage. The intention is to concentrate the energy, psychology, culture, heritage and competitiveness of Gonville & Caius in a place which is the main station on the mental journey to the race. 3. The building has to function well and the present practical difficulties have to be resolved. The site is limited and one of the main governing factors is the length of an eight at nearly 20 metres long. We have come up with a simple yet well-planned solution to the manoeuvring of the Land Rover and trailer. The returning loaded trailer will be able to drive forwards along the access path and enter the boathouse where boats can be put on racks. Similarly the trailer can be loaded in the boathouse the night before and left secure, ready for an early departure. 4. First floor fitness, training, changing, etc. 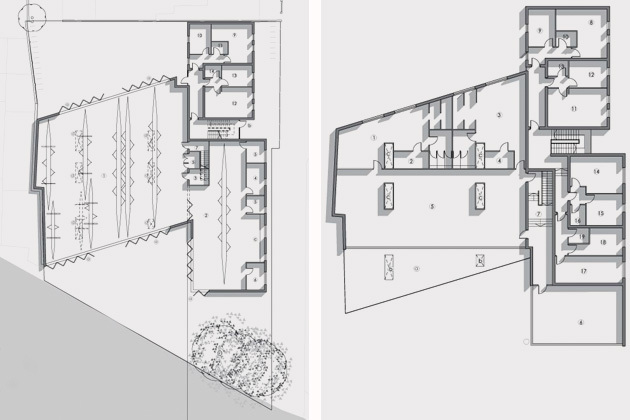 is grouped together with gym areas opening to the south terrace and views across the river. This separates the psychological mental preparation for a race from the more functional elements whilst producing top quality, modern facilities with all the right adjacencies. In addition, we will make training almost as enjoyable as rowing itself. 5. 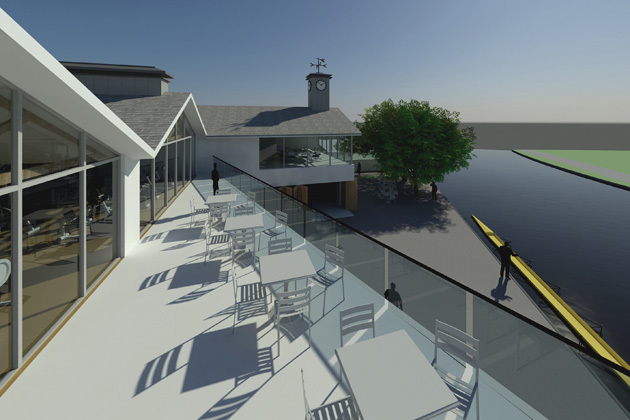 Overall the building will have a riverside boathouse appearance in traditional materials and it will be a good neighbour, sitting well in the string of various buildings along the river frontage. It will capture the views from open space and the pub on the opposite bank and give the right messages about the club’s success, identity and efficiency whilst increasing local awareness and the status of the club.